This is a program to develop suppleness and vitality, stimulate bone strength and improve posture, balance and walking. It can also assist those recovering from skeletal injuries and/or loss of bone density. Those with chronic pain report increased flexibility and strength. It can also bring ease to those who perform repetitive movements at work or sit for long hours without much movement. 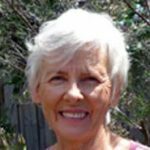 Rhonda is a Feldenkrais practitioner and certified Bones for Life trainer.